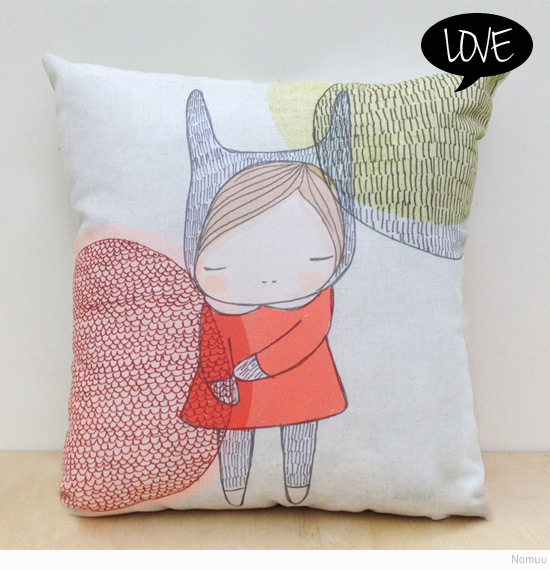 These brand new cushions from one of my favourite Australian illustrators Nomuu are hot, hot, hot. Gorgeous for a little one's room. I can picture one propped up on a white Eames rocker, or on Lilly & Lolly confetti spot bed linen-covered bed. Get your pre-order in now on the Nomuu website before they sell out! Read more about Nomuu here on Bondville.